WHERE WE’VE BEEN. WHERE WE’RE GOING. is a vibrant community of faith in the heart of Rainbow City. We have been a vital part of the community for over 60 years as a place where people are nurtured in spiritual growth and equipped for vital mission in our community. In the early 1950s, Rainbow City was still a rural community outside of Gadsden, but L.A. Waites, member of Central United Methodist Church in Gadsden, seeing that this area of the county was prime for growth, felt strongly that the Methodist Church ought to be a part of the development of this community. He purchased four acres of land on Highway 77 and with assistance from Central UMC the church was launched. The congregation held its first service, January 25, 1953, in the old “Steele store building.” April 12th of the same year, the organizing conference and the first quarterly conference were held. There were 29 charter members. The Reverend Robert L. Archibald was the first pastor. On August 12, 1953, the groundbreaking ceremony was held for a new sanctuary and the cornerstone was laid on November 15, just 3 months later. This original site, near the present-day Rainbow Crossings Shopping Center, served as home for the congregation until 1967. The original wooden church from the corner of Rainbow Drive and Grand Ave. The church was small, but helped the congregation have a great start. The home of Rainbow City First Methodist Church in 1967. A new, larger sanctuary, children's classrooms, and fellowship hall provided ample room for the church's growth. As the church grew, our original small wooden church began to grow cramped. In the mid-1960s, church leaders began to explore ways to provide more room for the church’s ministries with children and youth and to provide for a larger worship space for the congregation. Under the leadership of pastors, the Reverends John Phares and Tom Salter, the church built new facilities on Rainbow Drive, about 1 mile north of the original building, in 1967. On “moving Sunday,” the congregation concluded worship by walking the distance between the old and new facilities carrying the appointments from the sanctuary. The new church building provided ample room for children and youth and provided flexible worship and fellowship areas for the growing congregation. By the late 1990s, it was becoming clear that the now 30-year-old building on Rainbow Drive would need to be expanded to accommodate the church’s growing ministries. Church leaders commissioned the building of a new wing for adult small groups, which allowed the south wing to become the home to a new preschool, Wee Angels. Wee Angels was not the end! Throughout the 2000s the church has grown its ministry to the community with the creation of a Clothes Closet, expanded work with Etowah County Schools, and a unique ministry of making low-cost laundry detergent for our neighbors who struggle to afford store-bought detergent. Through nearly six decades Rainbow City First UMC has continued to be a vibrant community of faith in the heart of Rainbow City where all are welcomed and loved unconditionally, nurtured in spiritual growth, and equipped for vital mission in our community. We welcome you to see for yourself what makes Rainbow City FUMC a great place to worship, grow, and serve. 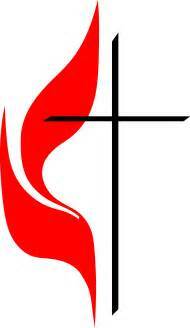 The mission of Rainbow City First United Methodist Church is to make and nurture disciples of Jesus Christ through high quality children’s, youth, and adult ministries, outreach ministries, and a variety of worship experiences. We are a church that is passionate about leading young people into a life-transforming faith. 1. We will put God first in all that we do. 2. We will be present for Christ in the community. 3. We will continually look for innovative ways to communicate the unchanging word of God. 4. 80% of our members will be active in at least one ministry. 5. We will love each other unconditionally. 6. All of our ministries will promote social justice (Matthew 25) and evangelism. 7. Within the guidelines of vision, mission, values, and budget, decisions will be made at the level where ministry is happening.